The drive-thru lasts approximately 30 minutes and most people spend about an hour at Santa's Village. Includes Drive-Thru lights experience. Santa's Village Activities are an extra cost. Bring the entire family along and celebrate the Christmas season with an unforgettable Music City activity. On the Dancing Lights of Christmas Nashville Drive Thru adventure, guests can sit back and relax on a fun Christmas caravan-style journey. The attraction is now in its 9th consecutive season as of 2018, so do not miss out on all of the fun this year. 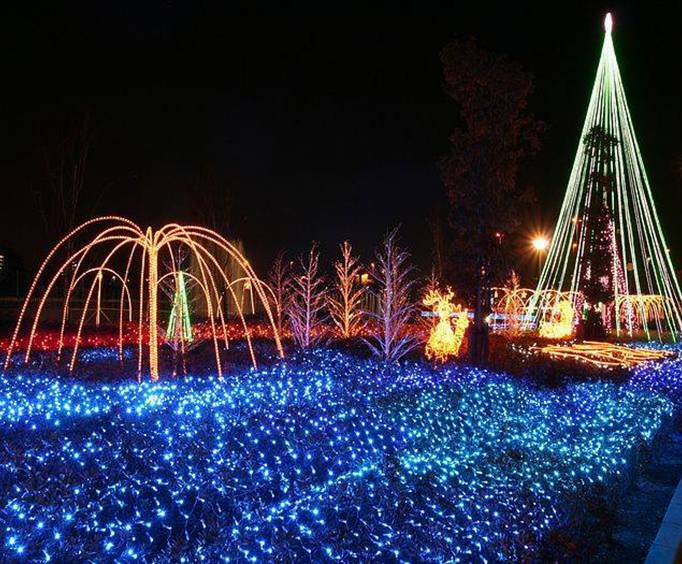 The Dancing Lights of Christmas is the largest drive-thru light show in the Middle Tennessee area, and it is easy to see why. Everything that is done is done big and bright! This year's drive-thru is held at a new location - the James E. Ward Agricultural Center. This sprawling area is usually home to the Wilson County Fair, but from November 16 until December 31st, 2018, it transforms into an awe-inspiring winter wonderland. 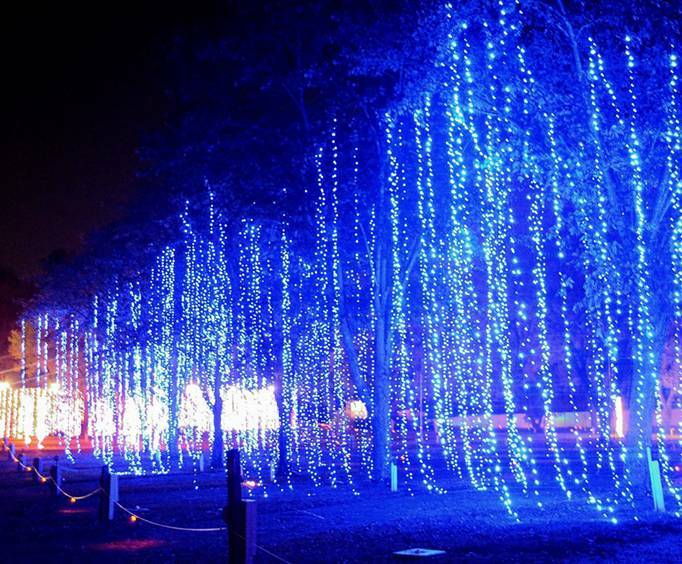 The drive-thru attraction itself is adorned in more than 1.5 million lights. 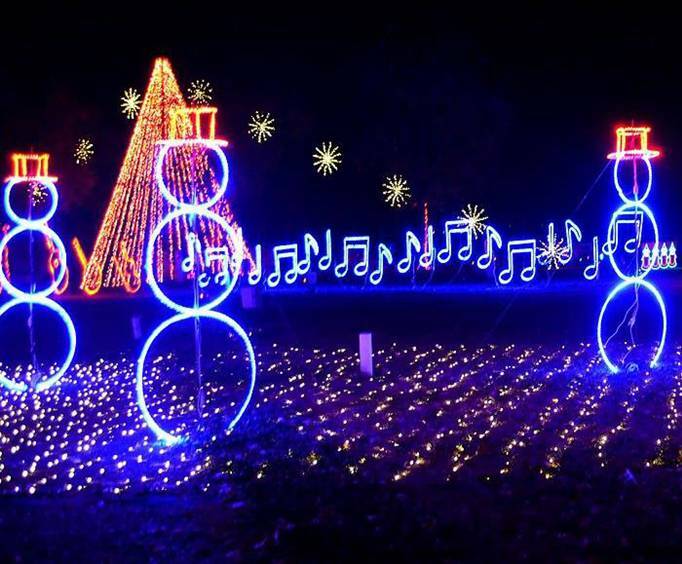 These LED displays feature everything from snowmen to Santa and his reindeer. Discover the true reason for the season with nativity displays and pass through the glowing arches and see the beautiful, towering Christmas trees lit up. While driving, guests can tune their radios to the correct station and the lights will dance along with the music! This amazing display is great for all ages. After passing through the 30-minute drive-thru experience, guests will be able to stop at Santa's Village for an amazing array of holiday-themed activities. Here, guests will be able to pay extra fees to enjoy activities and holiday treats. There are pony rides, a spider jump, unlimited inflatable jumping, a rock wall, and a train ride. Kiddos can even get their picture taken with Santa Claus. If you work up an appetite, you can purchase indulgent treats from Lisa's Kettle Corn. Just a few of these include deep-fried Oreos and Twinkies, hand-dipped corn dogs, and of course kettle and other flavored popcorn. A drive-thru Christmas light display is sure to be the crown jewel of your Christmas celebration. Enjoy the hospitality and beauty of the Middle Tennessee area while enjoying holiday cheer at the Dancing Lights of Christmas Nashville Christmas Drive Thru. Includes drive-thru lights and admission to Santa's Village. This is a drive-thru tour. Approximately how long does the Dancing Lights of Christmas Nashville Christmas Drive Thru last? Drive-thru lasts approximately 30 minutes. Where does the Dancing Lights of Christmas Nashville Christmas Drive Thru depart from?